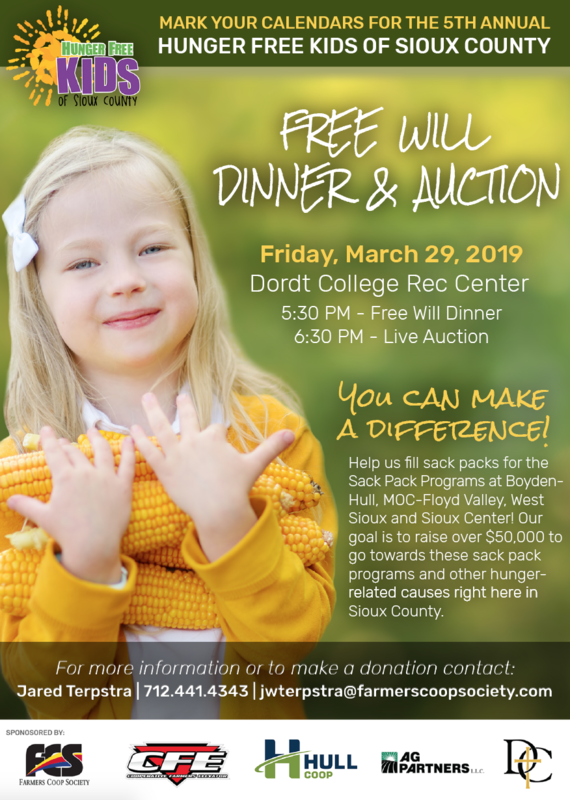 Our biggest event of the year to help meet our monetary goal is the Annual Free-Will Dinner and Auction held at Dordt College. The aim of the auction is to bring awareness to people in northwest Iowa that there are children all over our nation who are hungry. Even in Sioux County, an agriculturally-driven community, there are kids from families who have food insecurities. The live auction is dependent on the support and item donations from within our community. 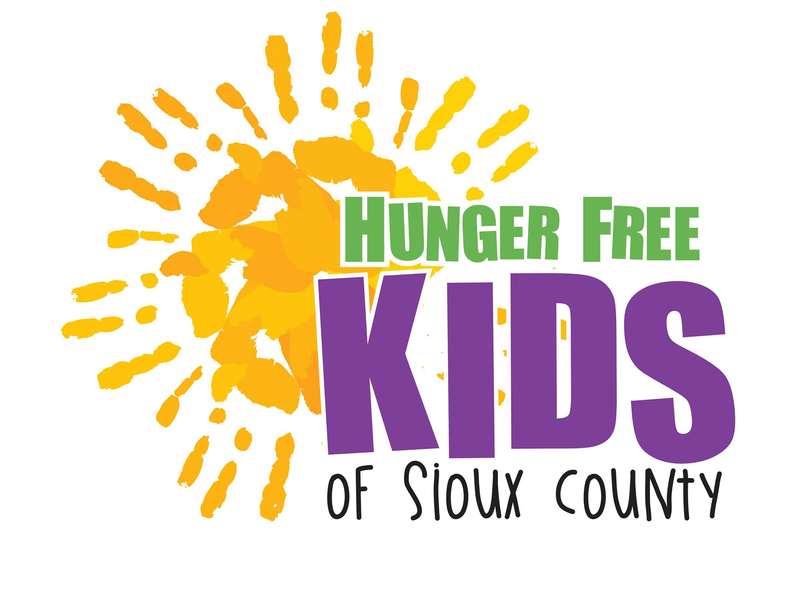 Our goal is to raise over $50,000 a year to go toward Sack Pack programs and other hunger-related causes in Sioux County. In our county alone, we are in need of over 16,000 sacks per school year.